The main goal is to find out how many devices are operating within certain range of time. I know it may be hard not knowing the format of my database but maybe you would provide me at least some clue how to do this. I assume it may be achieved by using SQL native query but I couldn’t find anything on the net that would cover my needs (or did poor searching). If it helps, my database is based on postgreSQL. 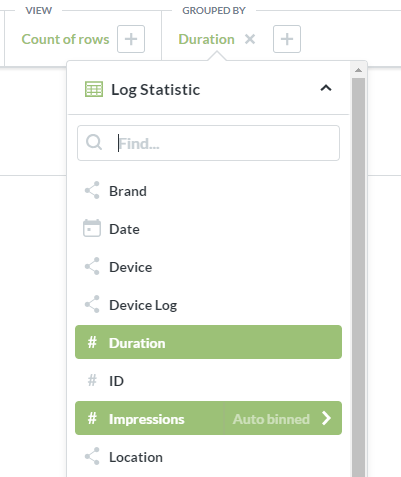 You should be able to use Metabase’s binning functionality. I’m not sure if there’s a better way to set the bin ranges though. It seems a bit erratic. I don’t seem to find this binning functionality under “grouped by” option. Is it something that can be turned on by Admin? It seems to just turn it on when relevant. I think it’s when you group by a numeric. 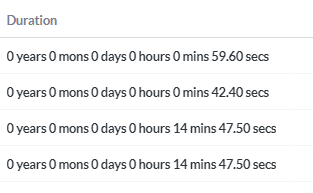 What type is the duration field? If it’s Interval, than sadly you’ll have to wait for https://github.com/metabase/metabase/issues/9500 or alternatively do the binning (or at least extraction/conversion to hours) manually using SQL. As a string or is that just how it’s displayed. I hate to try and separate a number from that. Thank you for all your replies. Could you be so kind and tell me how to add this “SELECT EXTRACT…” query to the following in order to convert duration into hours? Sorry, I’m rookie in SQL queries. But what I want to achieve is to add the “Devices count” column and show the data from last 7 days. Could you please fix my query? use the question from 1) as source for your subsequent questions. 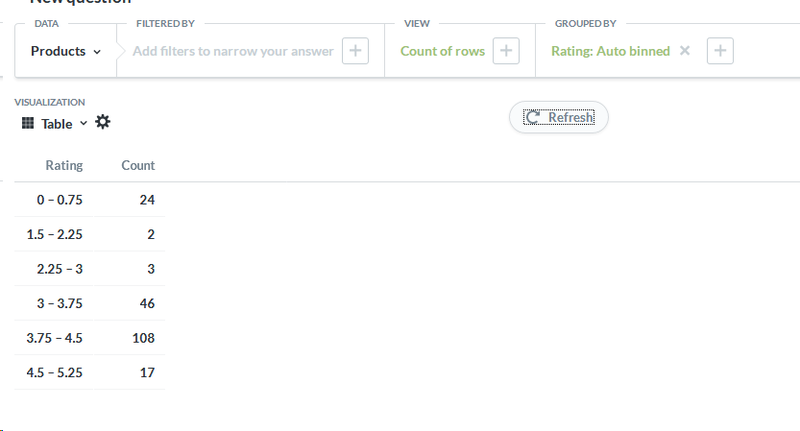 This way you can use the query builder for your actual questions rather than having to do everything in SQL. @sbelak I will definitely try doing so. Thank you for the tip.